Juan Manuel Fangio, widely considered to be one of the greatest Formula One drivers of all time, died damn near 20 years ago at the ripe old age of 84. He never married, and didn’t have any children – supposedly. Now a man going by the name of “Oscar Espinosa Fangio” is claiming Juan is his father, and his body is being dug up to prove it. 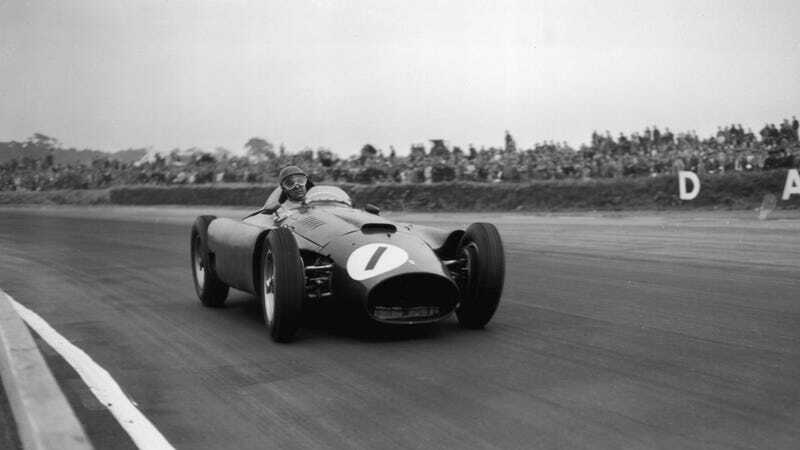 It’s pretty much impossible to overstate the degree to which Juan Manuel Fangio’s body heralded success in F1. With his body, he won the World Driver’s Championship five times with four different teams, and still holds the highest winning percentage of any driver. And when he was in his heyday, his body was already old as hell compared to most other F1 drivers, first becoming championship when it was already 40. Beba [Espinosa’s mother] had first come into Juan’s life when she was living in Balcarce with her husband, a potato grower, from whom she divorced soon after meeting Juan. Shortly after this, on 6 April 1938, Beba gave birth to a son whom she named Oscar Espinosa. Though the identity of Oscar’s father remained in doubt – even Juan’s family never knew for sure – it was noted that he had Juan’s eyes, face and bowed legs. Fangio’s body will be exhumed, per a judge’s order, sometime soon.